Kacky Walton: Your record Around These Parts makes me smile! Jeff Hulett: I appreciate you saying that. It’s a record that I worked a long time on. I was recording with my buddy Jason Paxton and it was just whenever we could get in and do the guitars and then we would do the drums and then we would do the bass. Then we would bring all these people to play on it. And over the course of two and a half, three years we have Around These Parts. And, it has finally come to this conclusion and I could not be happier about it. Walton: It took you three years? Hulett: Yeah. We probably only worked on it a total of six to eight months. There would be four months that we would not even touch it, just because of scheduling. Hulett: It was “record when I can.” What was fun about that was that you could toy with the mixes and the things that you already had. Jason would say, “Hey, I have done this mix on that song “Bones.” What do you think about this? Why don’t you come over and add some egg shaker to it? I think that could sound cool. Or, some wood blocks." We were able to just take our time because Jason was just doing me a solid and recorded it - and learning some of his new equipment. There was not this time crunch . . . and I think that what we have in the end is a really cohesive, fun, thoughtful record. Hulett: I am mostly a rhythm guitar player but, yes, that was a fun, fingerpicking song. Incidentally, on what sounds like a bass in that song is actually Jonathan Kirkscey plucking a cello like a bass. He is from the Memphis Symphony Orchestra. Walton: He is starting to write a lot of film soundtracks now. He is a composer as well as a performer. Hulett: He is incredible. Getting folks like Johnathan Schallert and Luke White and Nahshon Benford and these folks to play on the record - I mean, just like pro musicians, is part of the reason that everything sounds so great. Walton: You guys are all friends? Hulett: We are all friends and we just like to help each other out. You know the music scene in Memphis is a very incestuous one. Like, Luke plays with everybody and Nahshon plays horn with everybody and Jonathan plays on tons of records. I really have a who's who of Memphis Musicians on this album. Walton: You do have an incredible line up of people. Don’t you think that the Memphis music community is not a competitive one - it’s a collaborative one? Hulett: Absolutely. It’s totally true and you know if someone records somewhere and they are like “where did you record?” And, then you are introducing them to the person. Like you said it is a collaborative thing. Walton: So, every single track is original but you do one cover? Hulett: Yes, every song is original, except for track eight which the song is called "Neutral Milk Hotel" done by an obscure band called The Gifted Children. I found the song and I loved it and I wanted to put it on the album. So, I contacted them and they were just thrilled and said: “go for it." It is totally different from their version but all originals except track eight. It ranges from your kind of rocker to your folk song to your piano-driven songs. Walton: Do you think that there is a common thread that runs throughout? Hulett: I think from start to finish, working on the record there are themes. I write like this most of the time anyway. Your common themes like life, death, and growing old and dealing with the day to day. I think the theme overall is a reflection on my life from my early days in Chicago, Illinois to moving to the South in 1990 - and being in bands and then becoming a father and a husband. Just still making music. In some ways, it’s just I am almost forty “Should I still be making music?” - Hell, yes, I should be making music. Walton: You don’t just give things up because you’ve reached a certain age. You have to keep doing what you love. Some people get overwhelmed with the nine to five, daily stuff, and having to go home and deal with kids and dinner and putting dinner on the table. And this and that. And paying bills. But, you have to hold on to that creative thing. Hulett: You really do. And it’s just a part of you and when you don’t have it affects your mood and it affects how you relate to your family. My wife will be like “You need to go into the studio?” Or, “you need to get out of here and go express yourself.” And, she is right. It is a part of my therapy. Walton: When you do the release party on Saturday, December 15th at Memphis Made Brewery, from 4:00 PM - 6:00 PM, you are going to be reuniting with a band that you use to play with. Hulett: Yes, I was in a band called Jeffery James & the Haul, a little bit after Snowglobe got off the road touring, we were just like of taking a break. So, that was my first time getting out behind the drum kit, with a guitar and singing. That was with Luke and Nahshon and my buddies - Aaron, Daniel and Dave - and now Johnathan. So, we are going to play some old “Jeffery James & the Haul” songs that people like and are excited to hear, I think. We have been practicing like crazy. It’s like a mad dash to the finish line. But, we are going to get there and we are going to cross the tape, clink some beers, and it’s going to be excellent. Walton: People can go to your Facebook page to learn more about it. Hulett: Yes, just Jeff Hulett. If you search “huletthadogsout” that is my Facebook band page. All the information about the show and how to get a record [is on there]. 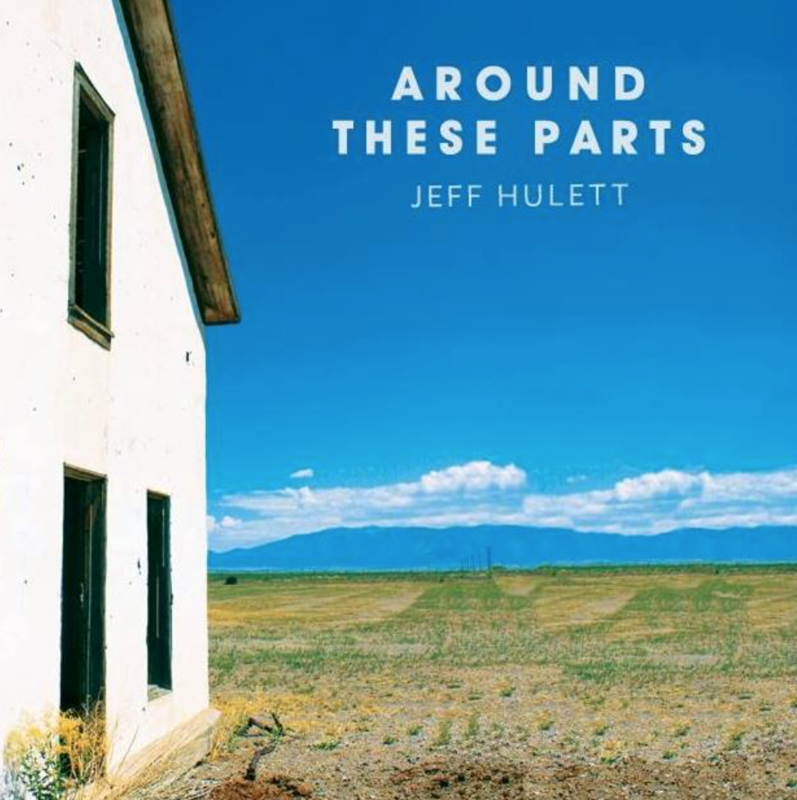 Stream songs from Around These Parts and listen to other songs by Jeff Hulett on Soundcloud and Spotify.